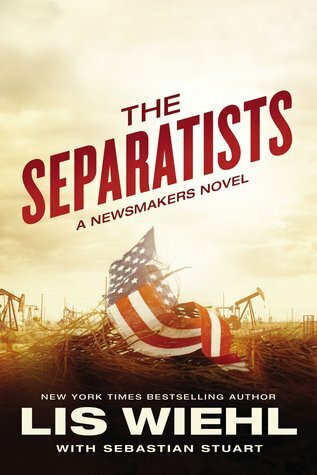 When America is threatened from within on a scale not seen since the Civil War, Erica Sparks is on the front lines reporting. But what can she do to stop it? The thing about this series - the stories seem so far fetched from reality, yet they could easily become reality with not a lot of imagination. Because of that, these books entertain me and scare me all at the same time! I love Erica Sparks and the life she has created for herself. She is a star who seems to be larger than life with each book in this series. It seems trouble continuously finds her in her reporting and her desire to go after the truth always lands the ones she loves right in the line of fire. Erica struggles between loving the life of fame and being the wife and mother she knows she needs to be. She loves her life and she is not afraid to admit it. I have mixed feelings about that part of her, but I still love her and would totally watch her if she was a real news personality. This book deals with the whole concept that one of the states in our country has decided to become their own nation. As power goes to those creating the new country, we see their lives become a complicated web of lies, deceit, and death. Erica is right there in the midst of it all trying to make sense of who is responsible for what. I won't tell you how this one ends, but it is intense and had me on the edge of my seat. Although this one can be read as a stand-alone, you will enjoy it much more if you check out the first two books to get the full background of many of these characters. This book has potential to be a great read, but I fear I should have read the first two books in the series first. I was unsure of the background for each character and it made it very hard for me to get interested in the story. There seemed to be a lot of insider information some of the characters withheld, and again, I probably would have understood better had I read the first of the series. I don't want to give this book a bad review because everyone seems to be in love with this series. I just found it hard to understand and was unable to form an interest in the characters or the story that was happening in this book. If you have enjoyed this series, I would love to hear your thoughts on this one. I've been writing this book blog for three years now, and have searched all three of those years for a good Book Blog Hop. I think I finally found one!! I'm going to link up for a few weeks and see how it goes. 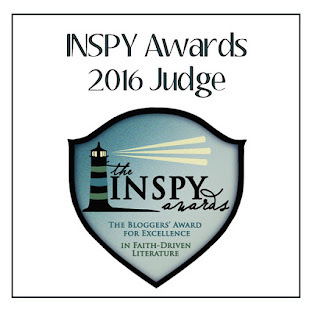 I hope you will click through and find other book bloggers to love as well. Most of my books I donate to our local library. While our library has a selection of Christian fiction, it is not huge. I figure the easiest way to share these amazing books with others is to have them available in the library. However, there are some books that I just know one of my friends or family will love. Those books I pass along to them. Occasionally I will give a book away on my blog, but not often. 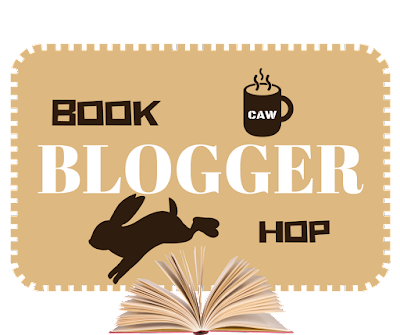 Again, I hope you will click that picture above and check out the other book bloggers participating in this week's hop! 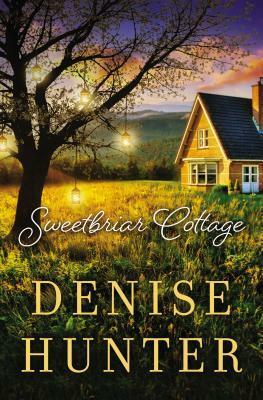 Denise Hunter is one of my favorite must-read authors, and this book is just another reason why. Josephine and Noah find themselves caught somewhere between marriage and divorce, and we know from the beginning things are only going to get worse before they get better. As soon as we meet Noah, I find myself being judgemental of him. He doesn't seem to take the time to get the other side of the story before he makes decisions, and he doesn't listen to reason when people are giving him advice. Once he makes up his mind, there is no changing it, and it is this trait that contributes to his character most of this book. I wanted to get in his face and give him a piece of my mind throughout most of this book and was more than happy when he finally redeemed himself. Josephine broke my heart. She comes with a past not suited for young readers. Her mistakes seem to overtake her life and form her into the adult she becomes. Although she loves Noah with all her heart, she lets the darkness from her past prevent her from attempting to make amends. She believes she is worthless and is willing to live a life as such for the rest of her life. I don't think it is any surprise how this story ends up, but the path these characters have to take to get to those final moments will stop your heart in its tracks and have your racing through the pages to see if it really is going to end the way you think. God shows up in a BIG way with these characters and brings them a miracle only he can perform in the situation they find themselves in. I really liked this book and recommend a place for it on your reading list. That's a loaded question for me. There are many authors I would read no matter what. If they put out a book I did not enjoy I would consider it a fluke and eagerly look forward to their next book. That is a long list, but if you have followed this book for any amount of time, you probably know the authors I tend to gravitate to. 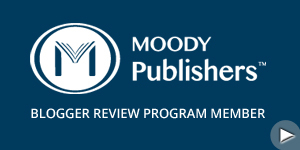 If it is a new author, I am kind of wishy-washy. Some new authors I will give a second chance. Especially if they are backed by a publisher I know consistently puts out great content. If they are an independent/self-published author and I do not enjoy that first book, chances are I will not read them again. What a great book for little ones! 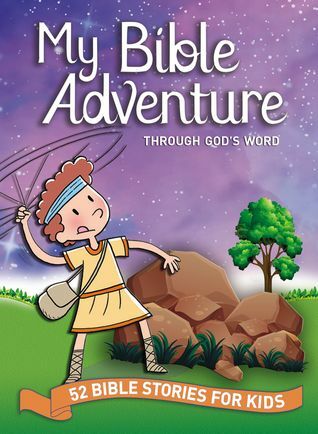 My son has just turned five and really become interested in Bible stories. There are so many resources out there, but very few that can hold the attention of a five-year-old boy. This one has hit that mark. Each story breaks the Bible passage into easy to understand wording. Then a brief explanation of that passage is included to help the child better understand what was just read. Finally, a prayer for the day loops back around to the lesson for the day. The illustrations in this book are fun for kids of all ages (and parents alike) and really help bring each story to life for the child. My son has loved this one so far and I see us using it as a bedtime resource for several years. This book takes place in a fictional town two hours from where I live. What's not to love?! Seriously, though. This was one of those books that once you pick it up, there is no putting it down. Kate has been living her life in the witness protection program, seemingly unknown and protected from those who want her dead. She has made a new life for herself, and things seem to be going well. Until it isn't. Tony arrives in town to collect Kate and bring her back to St. Louis. But things are never as easy as they are supposed to be, right? As soon as he gets to town things get suspicious and the story really begins to take shape. I loved the suspense of this book. I would think I had it all figured out, and then something would happen, and I would realize I was completely wrong. Even when I was sure of how it would end, it turns out I had no idea. I thought the ending was so creative and such a shock to me. This book is part of a series, but can easily be read as a stand-alone. 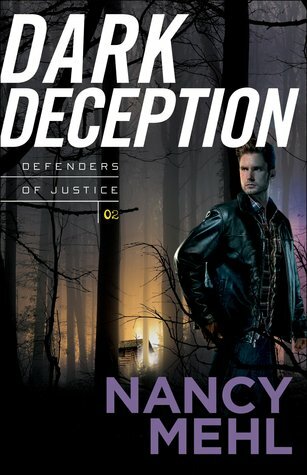 I think it is worthy of a place on your reading list - especially if you love suspense. Since my disappointment in my last Colleen Coble read, I have been anxiously awaiting the chance to get my hands on the next book. 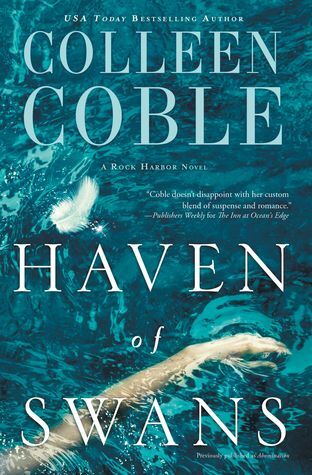 Coble is back to her usual writing with this one and had redeemed herself in my opinion. This story pulls you in and makes you feel as if you are there with the characters. The characters become your instant friends and I felt as if I knew them in real life. I hurt for them through all their trials and truly wanted the best for them. I wanted them to all be safe and desperately wanted a happy ending for each one. I felt myself fearful for what was going to happen to them. I honestly felt a part of their story. This is one of those stories with crime and suspense to keep you guessing. I never saw it coming who this perpetrator was and found myself very surprised. Colleen Coble does an amazing job with this story. Put it on your reading list. This book was not what I was expecting, but I think I loved it even more because of it. The storyline will draw you in, and the writing is absolutely amazing. We briefly met the Bradford family in the prequel to this series, and I knew going into this book that my heart leaned toward Nora. She is perhaps the Bradford sister with the most heartache from her childhood, and I was thrilled to learn the full series kicks off with her story. Nora is what I would call an introverted extrovert. She owns and runs an entire historic village, yet she is happy keeping to herself and not calling attention to any of her features. Outside of her two sisters, her closest friend seems to be a fictional character from her favorite TV show. Until Nora meets John. 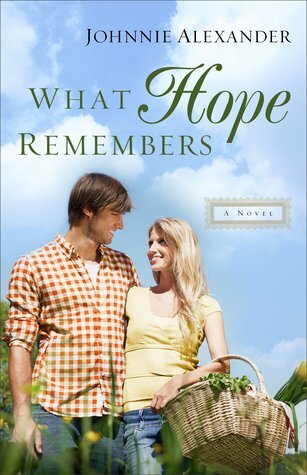 Nora and John meet by accident, and she is immediately captivated by him and his background. John seems like an honorable guy but has a complicated past and secrets he is keeping to himself. Yet he enlists Nora to help him find his birth mother. As the two of them work together to uncover the identity of John's birth mother, we get to see them form a relationship that seems like perfection. When John and Nora finally meet his birth mother face to face, this book takes a turn I never saw coming. The story turned dark and raw. This part of it, I really enjoyed. So many times I read a book and when the characters face adversity, they simply turn to God and everything is cheery again. Sometimes, even when we turn to God, our lives do not immediately become perfect. I loved that we saw the very real struggles John and Nora went through as they worked through the information they learned. I enjoyed this book very much and highly recommend this series. Although unnecessary, I also recommend the prequel to this series, Then Came You. 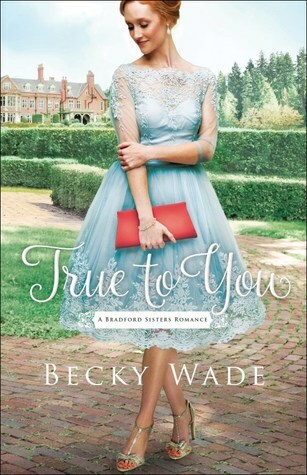 In this novella, we get to meet the Bradford Sisters' parents and enjoy the story of how they met.